After a two-year legal battle, Vasilyeva’s attorneys say this week’s victory sets a “very important precedent” in a conservative country where LGBTQ people often have little to celebrate. Maksim Olenichev, who defended her in court, tells Radio Free/Radio Liberty Europe that a transgender Russian had never “managed to defend [their] labor rights in court” before last week. Coming Out, an LGBTQ organization based in St. Petersburg, confirms that the court decision was a landmark in the country. Polina Andrianova, the director of Coming Out, adds that the case has implications for both women’s rights and LGBTQ equality in Russia. According to LGBTQ activists, Vasilyeva’s lawsuit points out the absurdity of restricting where women can work due to reproductive concerns. “It’s not even possible” for Vasilyeva to bear a child, Andrianova says. While the Frunze District Court ordered Yanoshka to give the plaintiff her job back, trans people will continue to face extreme challenges in the workplace just six years after Russia passed a law banning the spread of LGBTQ “propaganda.” According to a 2016 study from the advocacy group Pravo Trans, 50 percent of transgender Russians say they have been fired or denied employment because of their gender identity since coming out. 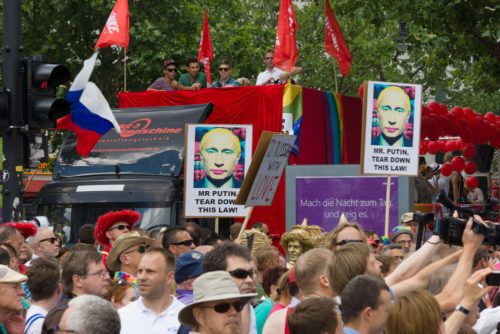 LGBTQ groups hope this week’s rulings encourages Russia to pass necessary reforms to aid its ailing trans population.